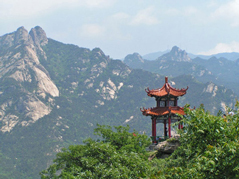 ﻿ study in China kunyu mountain was for authentic learning from experienced Masters. Kungfu has always interested me ever since I was a child. 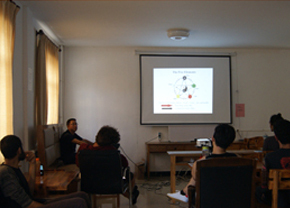 The choice to study in China was for authentic learning from experienced Masters. 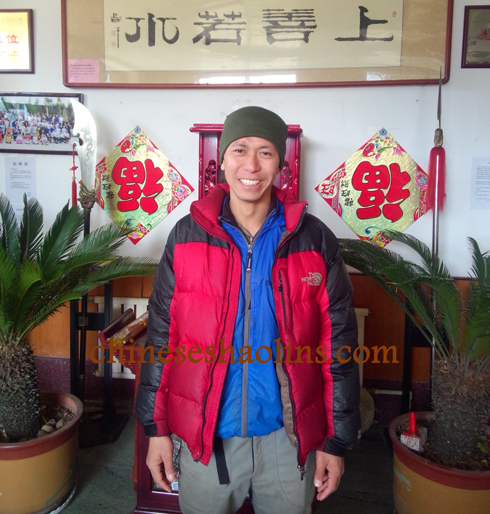 I came to Kunyu Mountain with 1 primary objective: to break a brick with hard qi gong. 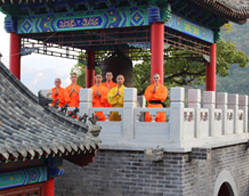 What I discovered instead during qi gong practice was what I have been seeking for many years: the same sensations I feel during adrenaline sports, yet I do not need to seek out dangerous locations, environments or situations in order for this rush. Master Sun was my main instructor while at the school. 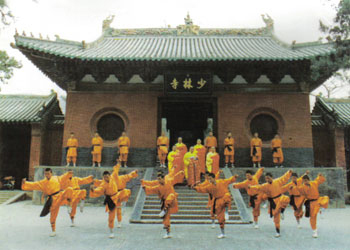 His enthusiasm while teaching Shaolin basics and forms enabled a good rate of learning. Just before I left the school, I had the chance to see his tornado kick for the first time in 4 months and while it is humbling to know how far I still have to go in martial arts, it is at the same time very inspirational. Coach Ariel was my primary tai chi instructor. His attention to detail and dedication to teaching was why I chose to do private lessons. Most importantly however was his passion to better himself and those around him, both in martial arts and as a person. Master Guo was also my Tai chi instructor in the morning. It was very heart warming one day when I was practicing three stances qi gong in the big training hall by myself on a weekend with no one else around. I believe Master Guo must have walked past the training hall and saw through the windows that I was holding one of the stances slightly incorrectly. He subsequently took the time to come in and give me the personal attention to correct my stance and help me improve my qi gong. Out of the students, Pheline (Fi) has been the most inspirational in her morals and her quest for proper form over speed, knowing that speed comes with time. Chris (Swedish Chris) helped me a lot with details in forms and Sanjay was inspirational with his explosive power and intensity in training. 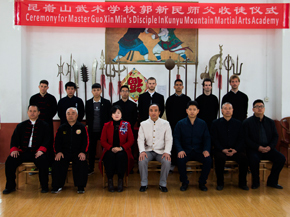 The focus of my stay here in Kunyu mountain was on Chinese martial arts training. Therefore I spent the majority of my time in training and less time on socializing. However, it was still nice to make friends with so many different students from all over the world. The translators were always helpful, in particular Livia with her friendly attitude. My stay here was mostly over winter so therefore a lot of the time it was cold to train at the mountain or lakes. However, the times we did go, other than Friday mountain run, was well worth the effort and I hope there would be more opportunities to train in natural surroundings during warmer times. 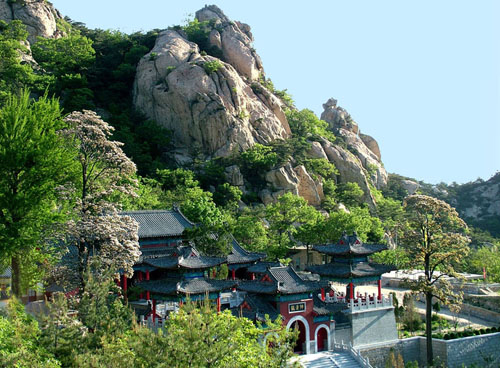 Air quality in Kunyu mountain is very good,and is nicer away from the city but of course, air pollution is an issue currently in all of China and if students come to China expecting something different, then they are just naive. 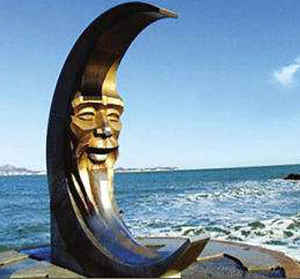 Muping and Yantai city are convenient enough to reach during the weekends for regular visits. 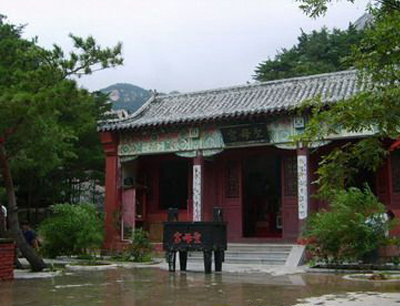 Simon Spent four month here to train Shaolin and Tai chi and Chi kung.